Elderly patients spending time in hospital spent an afternoon with a difference recently, as former Royal Ballet dancer-turned-teacher Vanesa Hooper visited to teach a class. Not wanting the recent ballet fever to pass this patient group by, Dr Fiona Thomson, Consultant Physician in Elderly Medicine arranged for Ms Hooper to visit patients on Ward 9 at Hull Royal Infirmary to teach a bespoke ballet class. “Research among our patients has previously indicated that they can become bored easily while in hospital, so staff on Ward 9 have been doing a lot in recent months to improve the patient experience and to help keep them occupied. “There is much evidence to show that keeping frail older people moving and active while in hospital can help to prevent deconditioning and loss of functional ability. Happier older patients are more motivated, are likely to eat more, engage better with therapy staff, and may even be ready to leave hospital sooner. “We took our inspiration from a recent Channel 4 series where a group of pre-school children shared their day care with care home residents, and which generated really positive results in both physical and mental well-being. 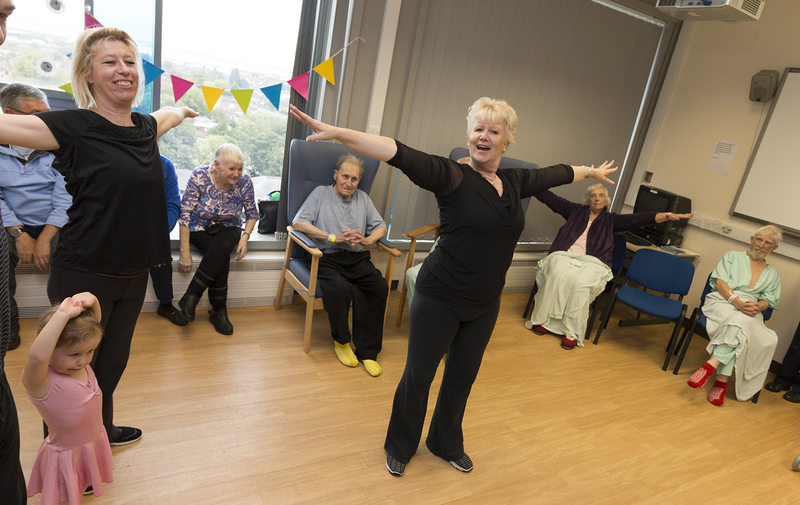 “Dance can also be very popular among our patient group, and we felt that if they were not in a position to attend the Royal Ballet while it was in Hull, we’d try and bring a touch of that magic to them instead. Due to the mobility of the patient group, patients took part in largely chair based exercise and worked out to a whole range of music, from classical to modern. Activity included upper and lower body stretches, and wrist and ankle rotations. “The visit helped to get the elderly patients moving and inspire them to try and do a little more in their lives if they can. “Working with older people is something I really enjoy and I found that they got something out of it, and I loved it! I found it really encouraging that even patients who didn’t think they were going to be able to do anything started to get motivated and join in by the time we’d finished.